If you’re a marketer who wants a simple, no-fuss solution that will deliver SMS fast then Email to SMS is the product for you. The Email to SMS Marketing Comparison Table covers features, pricing, service and reliability that need to be considered when selecting the best SMS provider for your marketing needs. Comparing the variety of providers in the field of Email to SMS Marketing within UK will require good research and proper understanding of your needs and wants. Why, you may ask? This is because SMS providers have a range of prices for dissemination of text messages, they offer a variety of complementary products, and their reliability and reputation could also be a factor in your consideration. That’s why this easy to follow Email to SMS Provider Comparison Table has been prepared based on usage requirements of your needs. Our independent yet well analyses SMS Comparison Table was developed to help you identify and select the appropriate services and types of products that would meet your requirements. The information has been categorised into a simplified, tabulated, and as a consequence easy to follow giving you the most important key information on key selection criteria that you should consider such as message distribution costs, networks availability, customer service support, and credit availability. It is considered that Email to SMS technology makes the distribution a very easy way to send an SMS from your computer without having to add functionality to any existing CRM system, log in to a website or upload bulk lists via CSV. All it requires is that you open your existing email of the client and then send the SMS as one would with a standard email. This simplicity makes it ideal for the use of SMS as a marketing tool, or as a reminder notice for appointments or for notifications such as parcel pick up or payment reminder. 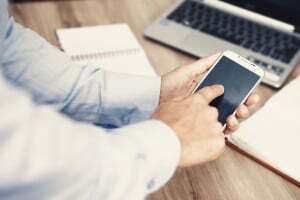 Remember that it is a two-way process as Email to SMS providers can also handle user replies providing customers or employees or the public with the capacity to respond to your original SMS message. This immediate two-way communications is also most effective when there is a need to change the staff roster system. The SMS Provider has the capacity to totally track your SMS distribution effectiveness and therefore find out if the marketing text message has been received by the recipient whether it be on the mobile phone, iPad or computer. This means that all incoming and outgoing SMS can be easily recorded and therefore provide evidence to ensure a delivery tracking analysis on any marketing or communication campaigns has been achieved. Such record can be exported onto Excel spreadsheet for easy analysis. 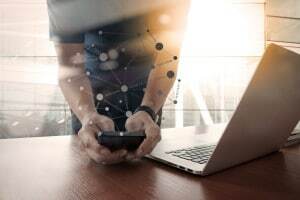 These Email to SMS Providers that are named below have the capacity to run high speed connections to suppliers which means that can manage low, medium or high volumes of text messages at any one time within a required short time-frame. Like above, these companies can and will provide delivery reports which indicate elements such as bounces of messages sent through the API or online platform. Another feature that you need to look out for is that these SMS companies will ensure messages are anti-SPAM compliant. They have a list of cleaning service which cleans a SMS contact list when it is imported and can reformat numbers when they are in different styles. Some have an auto-opt out for their clients with free access to their pool of shared virtual reply numbers. Having a look at the top quality SMS providers investigated in UK with respect to their quality and diverse range of features in relations to Email to SMS distribution, it was found that SMS Broadcast ranks the best of all the other Email to SMS British providers outlined in the research provided. Using a scale range of 0 to 100, it is calculated that the features offered by SMS Broadcast ranked a very high 98 out of a 100. However, this is closely followed by ClickSend which offered similar kinds of products and services and was ranked in terms of features a high 91 out of a 100. The other three SMS competitors ranked very well also with a range between 86 to 78 out of a total of 100. It must be stressed that although some of these providers have not gained the highest ratings, they still do provide a good range of valued features and therefore should not be excluded from your consideration. Now let’s take the financial aspect in terms of charges for the use of the Email to SMS providers for marketing purposes. There is a large difference in prices charged between these selected companies which is very much dependent on the size or volume of text message distribution that occurs each month. So, considering low volume distribution of SMS on a monthly basis, it can be seen that Wholesale SMS offers the cheapest rates. This is then followed by SMS Broadcast and more expensive versions are indicated with Clickatell, Click Send, SMS Tech and TextIt. 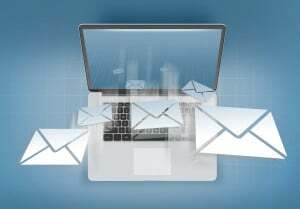 Take the charges that one could incur if using a Email to SMS provider. It will depend on the volume of text messages distributed over a month period. They can vary from 500+, 10 000+, 100 000+, 500 000+ to 1 000 000+ messages each month. For low volumes, the charges varies from 8.5c a message to 5.9c a message. That’s around a significant 30% difference in pricing. While taking the medium volume size distribution around 50,000+ on an average monthly basis, the costs vary from 5c a message to 8.1c a message, again a large difference between companies of around 40%. While with the largest scale of one million or more text messages sent on an average monthly basis, the cheapest quote vary from 4.5c a message to the dearest quote of 8.1c message, that’s also around significant 45% price difference. Such variation in charges may play an important part in the selection of the SMS provider you may wish to engage. A content comparison table of major Email to SMS Marketing Providers in UK provides an overview of the cost structure and associated features. From the above table, for low volumes it is very evident that WholesaleSMS offers the cheapest rates when comparing to the other competitors. ClickSend and SMS Broadcast follow with an approximate 10% more than the cheapest offer. As can be seen, DirectSMS and SMSTech have more expensive charges for low volume distribution. Taking into consideration the mid volume range of text messages send on an average each month (20 000 to 50 000), WholesaleSMS still offers the cheap rates. ClickSend and SMS Broadcast are the second cheapest charges but are around 10% more expensive the cheapest provider. The other Email to SMS marketers charge much more. Finally, with very larger volumes from 500 000 or more SMS sent on an average each month, WholesaleSMS still offers the cheapest rates available followed by ClickSend and SMS Broadcast at around 18% more expensive than WholesaleSMS. DirectSMS and SMSTech are around 30% to 40% more expensive than the cheapest prices. From a graphical distribution indicated below, on a rating of 0 to 100 where 100 offers the cheapest prices, Wholesale SMS ranks No. 1 with an exceptional 100 out of 100, while SMS Broadcast and Clickatell are close with a ranking of 86 and 78 out of 100 respectively. 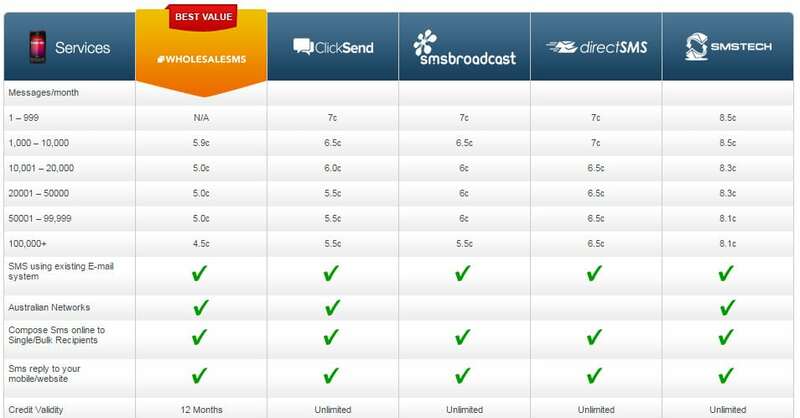 ClickSend, SMS Tech and Text It have a much lower pricing comparison ranking . The price differences show that some Email to SMS marketers are inclined towards lower volume distribution while others offer better rates when it comes to a text message larger distribution. Therefore any potential client needs to check what competing sms providers have to offer in terms of charges. 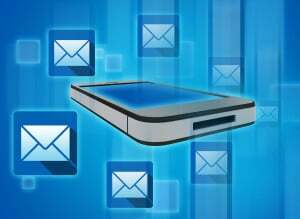 One of the main requirements of any potential or present clients using Email to SMS Marketing is to be assured of the reliability and reputation of the SMS company. There needs to be an assurance to the client that all Email which are converted to SMS for a scheduled time and date are transmitted efficiently. This is imperative for marketers whether it be a marketing campaign or an announcement or an appointment reminder or important dates notification to customers, clients, or staff. Alternatively, knowing with certainty that the scheduled text message made in advance will be effectively distributed. Therefore, the companies investigated were investigated to see if they appropriate features to match their reliability. A number of the Email to SMS marketers do ensure a guarantee of 99% up-time to 99.9% or some even have a 100% up-time with Service Level Guarantee as part of their overall assurance. All the five major companies investigated and compared did indicate reliability and a good customer service. By reviewing the reliability chart below, it can be easily seen that three of the Email to Text Message services offered a guaranteed reliable service for the distribution of their client’s text messages. Based on 0 to 100 ranking analysis process, it can be seen that SMS Broadcast and ClickSend are considered the most reliable with an outstanding 100 out of a 100 rating. This is closely followed by Clickatell and Text It with ranking in the high 80s. Wholesale SMS and SMS Tech reliability measure is far from satisfactory. To make life easier for potential marketers who are want to use an efficient and effective Email to SMS distribution system, a SMS Comparison Table was created by people who have worked within the SMS sector for a number of years and who understand the difficulties faced comparing Email to SMS companies products and services. This British group do not longer work with any SMS provider and have made this comparison table using the information provided by the British email to SMS providers’ websites. As the information on the Comparison Table are derived from the authors analyses of the providers’ websites and using the key information provided, the information should only be used a guide as prices and features may be updated by the SMS providers website without warning. If you see that any information on the table or this website to be out of date or incorrect, please contact us and changes will be promptly made. We appreciate your support and always welcome questions and feedback. It must be emphasised that the authors take your privacy and don’t ask for any personal details. The Email to SMS Marketing Comparison Table will simply navigate you from the homepage to the type of usage you require and you will see a SMS comparison table suitable for your needs. If you’re not sure what type of provider suits your needs and wants, simply view our blogs or just visit our page and you will see a detailed explanation of the service and who it is suitable for you. All comparison tables are provided for free but a commission may be provided from a provider’s site if you click through to their website and engage with their service. There are no other forms of advertising on this site and the authors have made price, key features, reliability and reputation the key elements that have led to the recommendations made on the site (not any commission levels). This page was last updated on 19 June 2016.